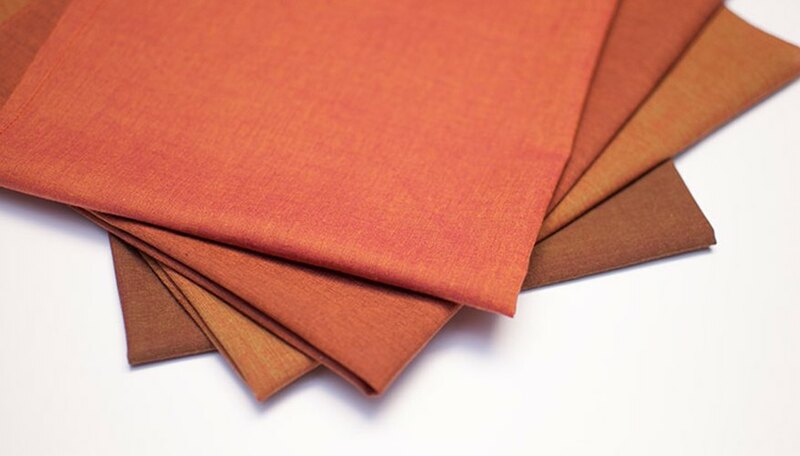 Cloth napkins instantly add elegance to any table setting, whether formal or casual. 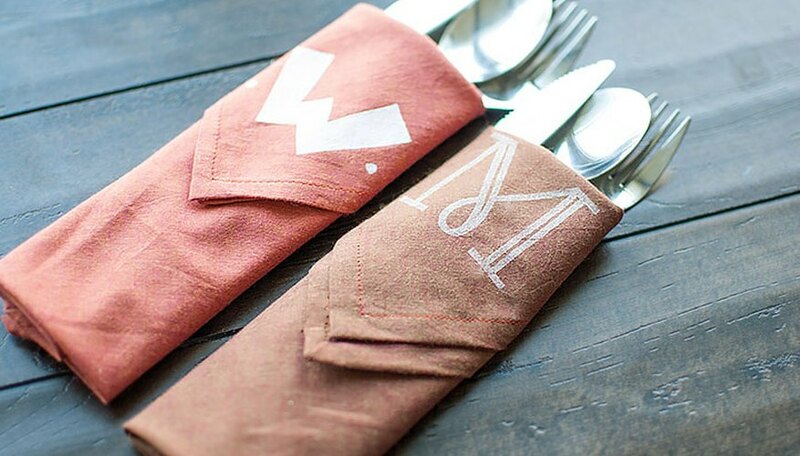 Learn how to make your own and personalize them with a monogram. 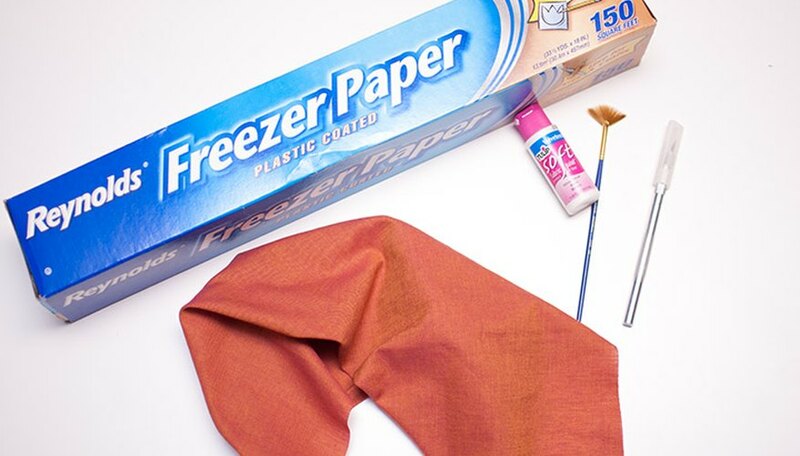 You can use a stamp or ready-made stencil, or easily create your own stencil out of freezer paper. 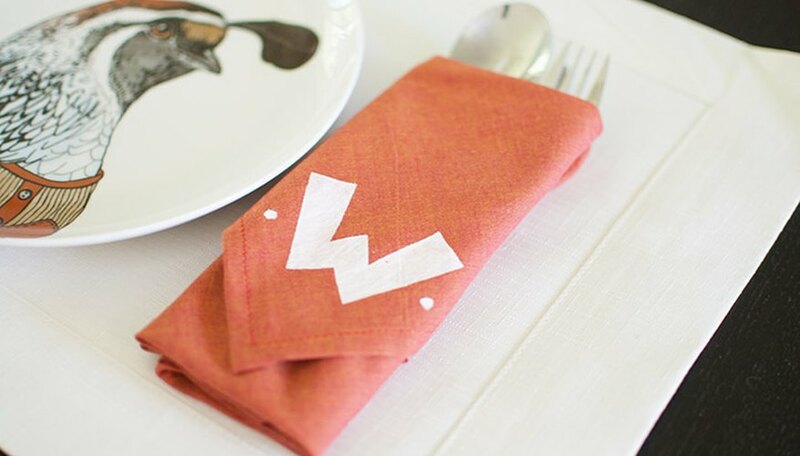 You can get four napkins cut from 1 yard of fabric, or you can use a fat quarter for one napkin, so you can easily make several with different colors and prints. 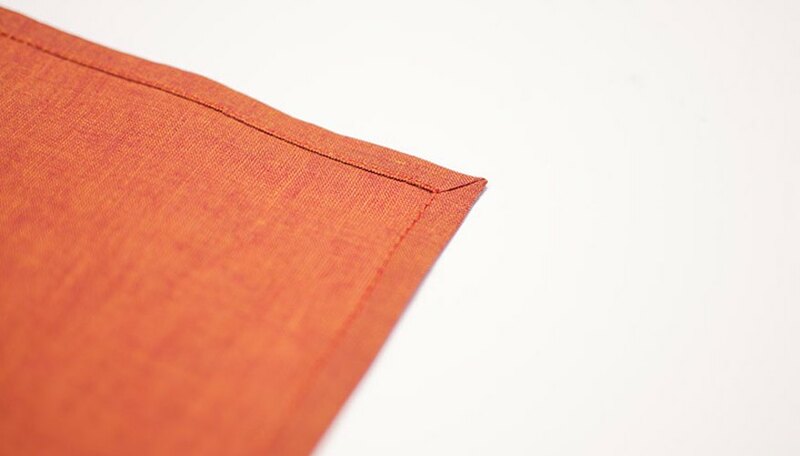 Cotton or linen fabric works best for napkins. Be sure to prewash all fabric. 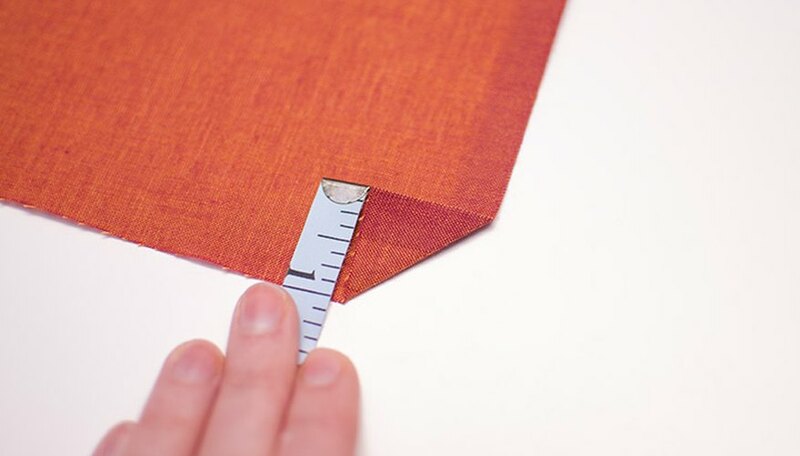 Start by cutting 18-inch squares of fabric for the napkins. 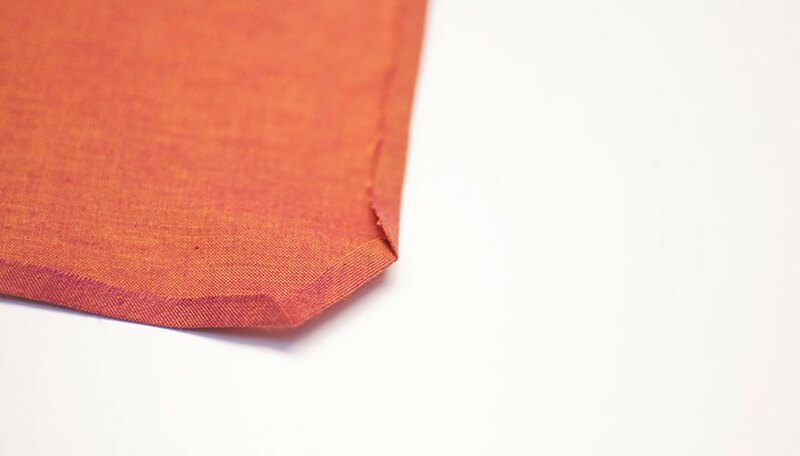 Then with the wrong side facing upward, fold each corner in by 1 inch and press with an iron. Trim the tip off of each corner that is folded, about 1/2 inch. 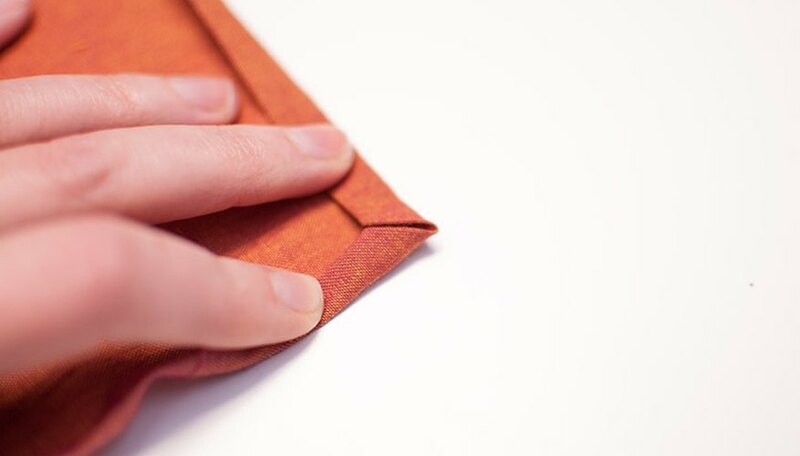 Fold each edge in by 1/4 inch and press with an iron. 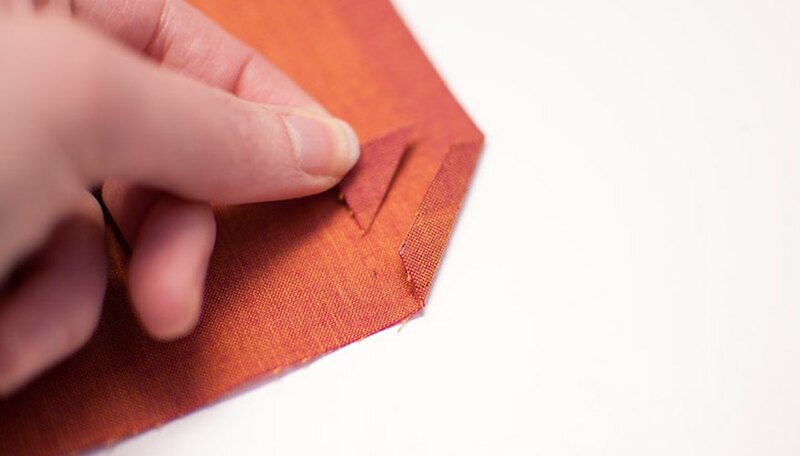 Fold and press the edges in again by 1/4 inch, and match up each corner into a point. Press the corners well. Edge stitch along the folded edge to secure it in place. Pivot at each corner. 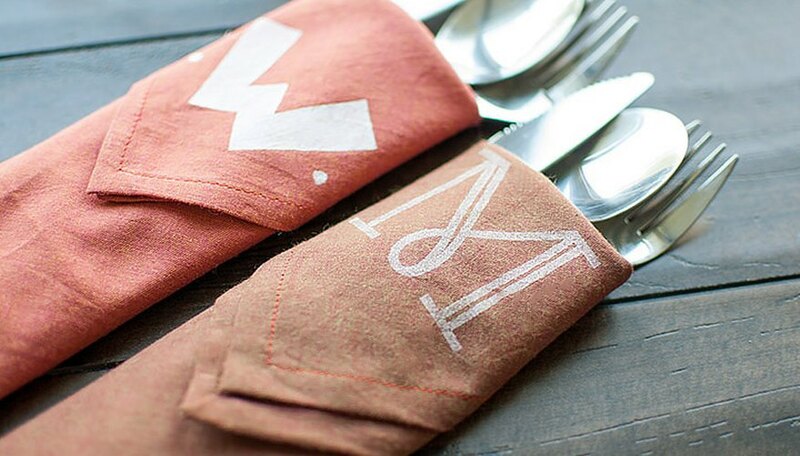 Repeat for each napkin until you have as many napkins as you desire. 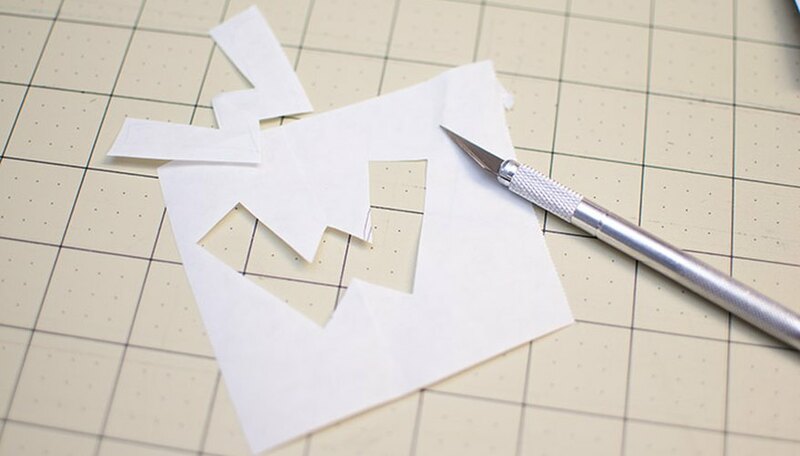 Cut out a stencil shape from freezer paper using a craft knife. Be sure to cut from the dull side of the paper. Iron the shiny side facing down to the right side of the napkin, placed onto the corner of the napkin. Using fabric paint, paint inside the stencil. 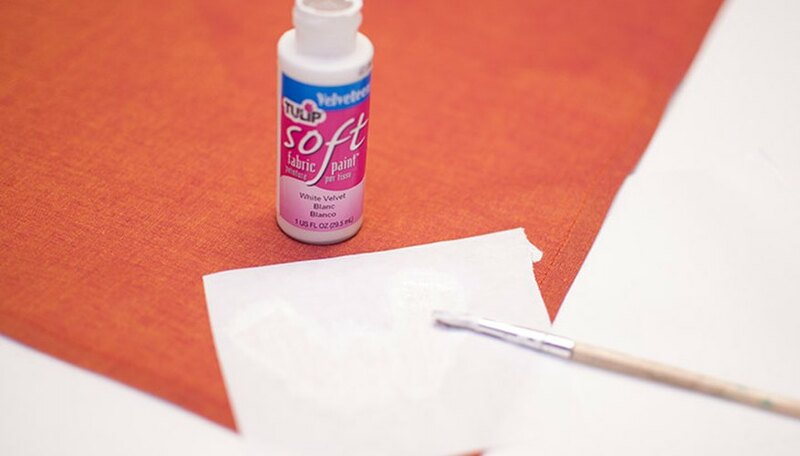 Remove the stencil or the stamp and allow the paint to dry. Do the same if you are using a pre-made stencil. Continue with each napkin. 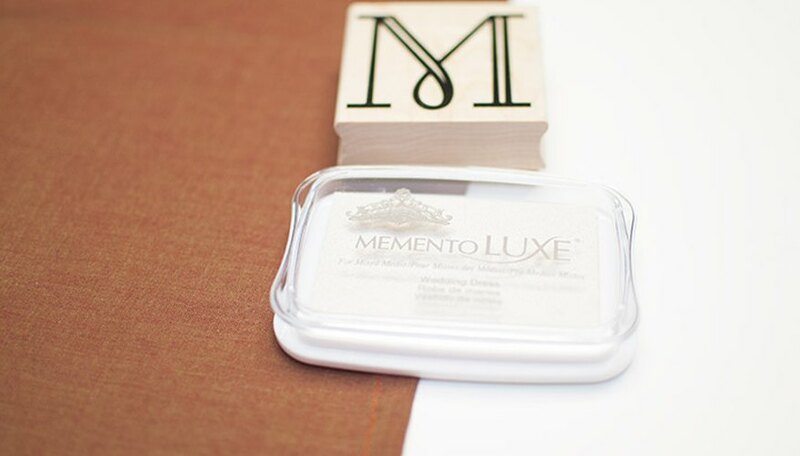 Simply press the stamp firmly on the ink pad to cover the surface of the stamp. 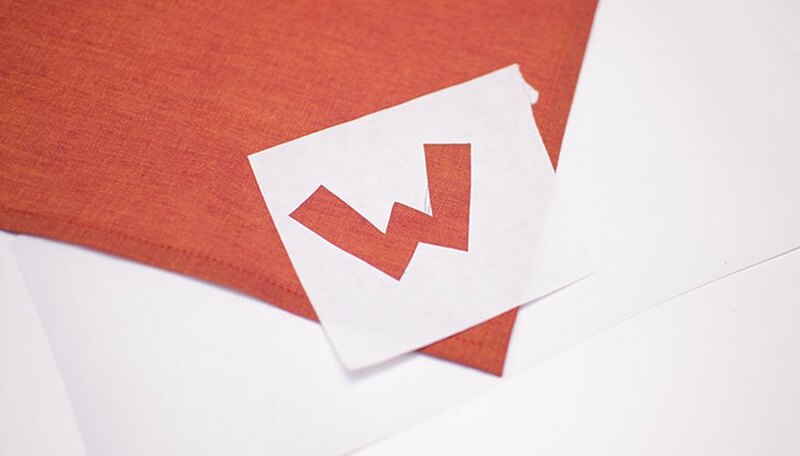 Alternatively, if you're using fabric paint, brush the paint over the surface of the stamp. 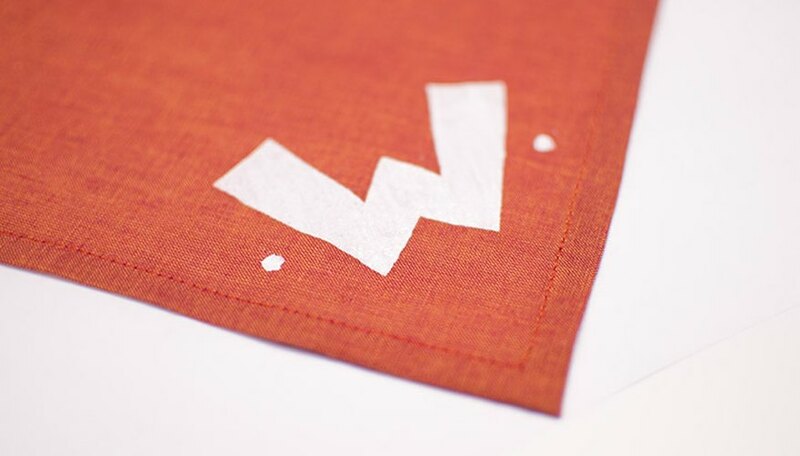 Press the stamp firmly down on the fabric napkin and then carefully lift it up. Allow the ink to dry before use. Be sure to wipe any excess ink or paint off the stamp before storing. 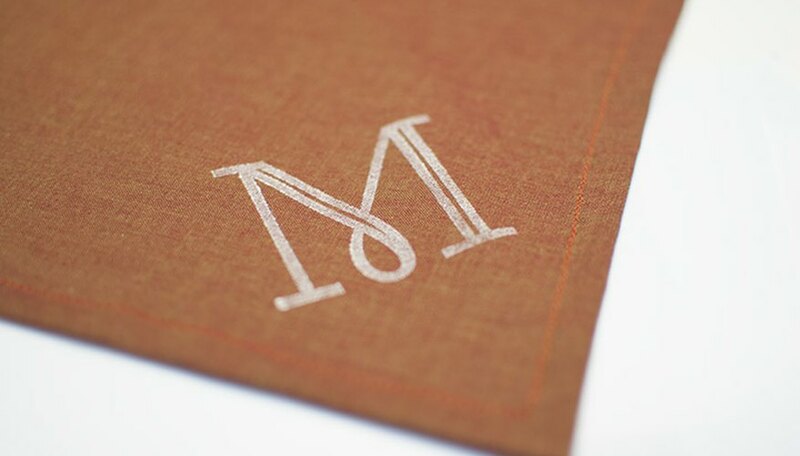 Whichever method you choose, your monogram napkins will look lovely on any table setting. They would also make thoughtful hostess gifts. 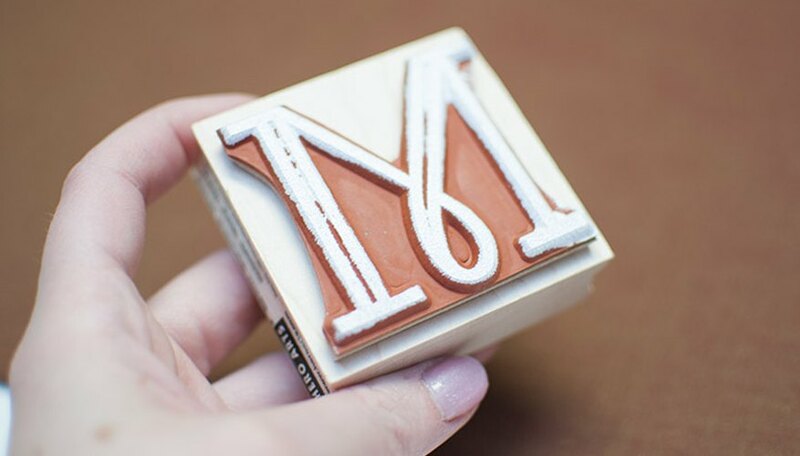 For the monogram, you can create your own stencil or use a pre-made stencil, or you can use a stamp. Shauna Wightman is a selft-taught seamstress and mother of three. When she isn't busy chasing kids around she designs sewing patterns, writes a blog, shwinandshwin.com. She is also a featured expert for weallsew.com and was a project creator for kiwi crates, and the creator of sewingwithknits.com.